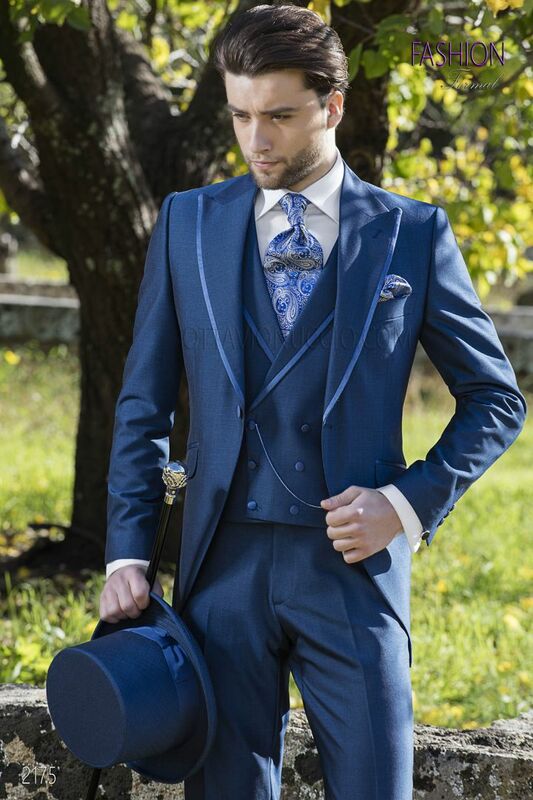 Royal blue Double-breasted waistcoat with contrast fabric piping, pockets fillets and 6 buttons of contrasting fabric. Cravat and handkerchief set made from royal blue jacquard silk paisley pattern. Handmade. Zylinder, royal blau, aus Mohair Wollmischung Stoff.